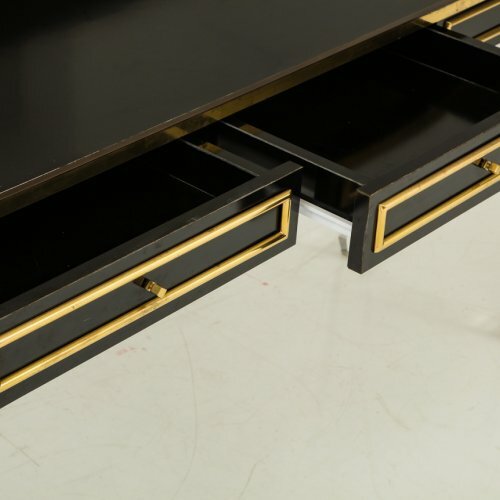 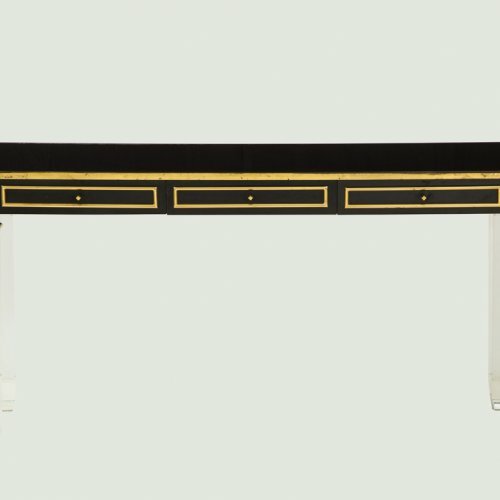 Maison Jansen Style Console Table or Desk. 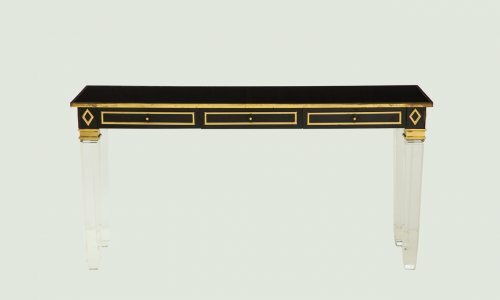 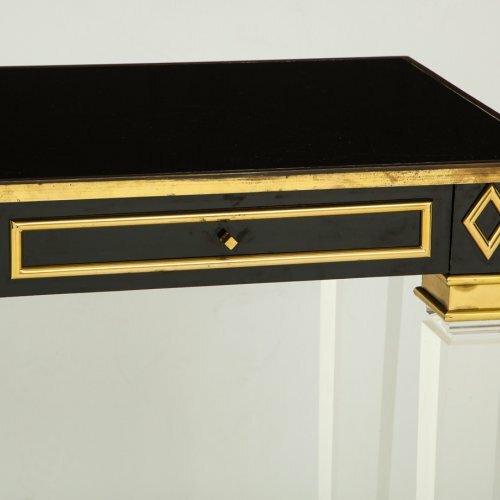 Neoclassical style console or desk attributed to Maison Jansen. 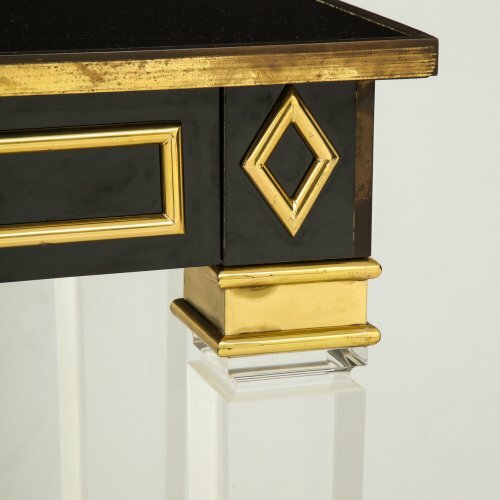 Clear lucite tapered legs, brass accent and black lacquered finish. 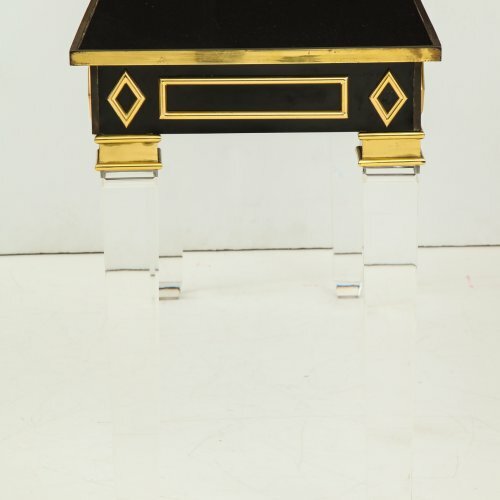 In as found condition.